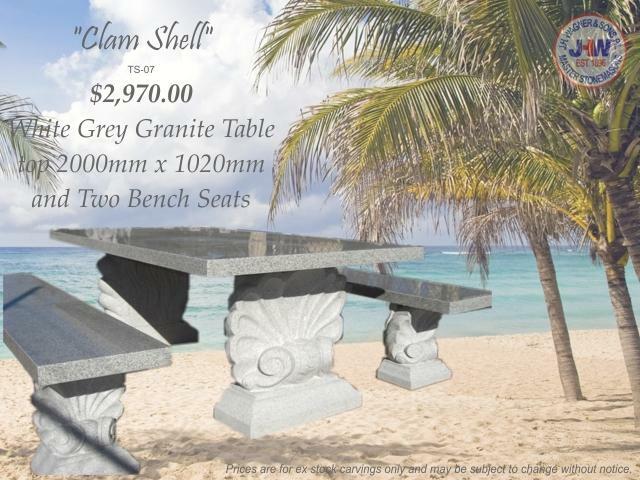 Carved Granite Table Settings available from J.H. Wagner & Sons. 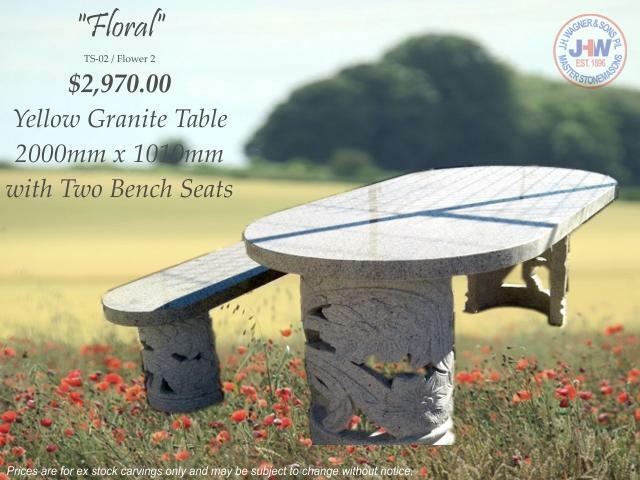 Granite Table Settings from J.H. Wagner & Sons are suitable for undercover areas or full external areas, offering stylish appearance and easy care. The polished surface on JHW granite Table Settings is permanent and does not require sealers or lacquers to maintain the beautiful appearance of a new Table Setting. Select from a range of styles, shapes, sizes and colours of natural stone. Easy to care for, lasting forever.